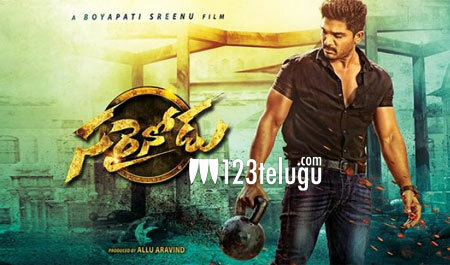 Released in April last year, Allu Arjun’s blockbuster mass action entertainer, Sarrainodu, ended up as the highest grossing movie in his career. The film was dubbed in Hindi with the same title and released on YouTube in May this year. Today, Sarrainodu has created sensation on the social media. Sarrainodu’s has clocked an unprecedented 100 million views on YouTube, becoming the first Hindi dubbed movie to reach this milestone in a record time. This staggering feat reiterates Bunny’s evergrowing craze across North India. Goldmines Films had released Sarrainodu’s Hindi version on YouTube.